The UNESCO Housing Chair of Rovira i Virgili University was created by the University’s Governing Council on the 11th of July 2013. It is the result of the research and projects on housing that the legal area had been working on since 1996 and which were backed by the Research Group on Access to Housing. The Chair’s objective is to establish a stable platform for research, teaching and the transfer of knowledge on housing from an inter-disciplinary and international point of view. It is the first UNESCO Housing Chair in the world. The worldwide economic crisis of 2007 has highlighted the importance of housing for both the economy and people. Housing is, in fact, the only good that is both an important financial asset and a human right. Therefore, we organize our research in four pillars: housing as a human right, access to housing, management and organization of housing and housing as a financial asset. Our work has won the ICREA Academy Award 2016-2020.
in housing seeks to facilitate access to housing for families and prevent their loss. The evidence to date of its social impact is the contribution in the development of five housing laws, thus impacting 47 million people. 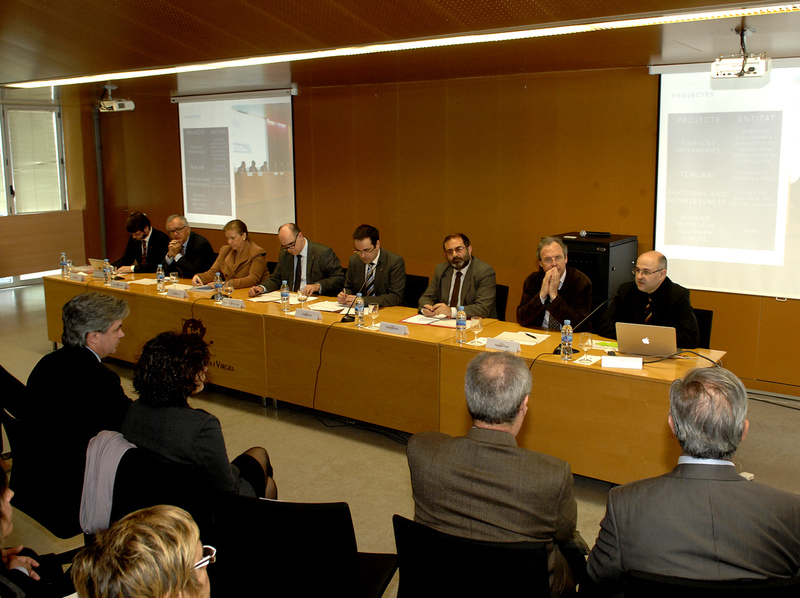 The UNESCO URV Housing Chair develops mainly three tasks: research, teaching and transfer of knowledge. 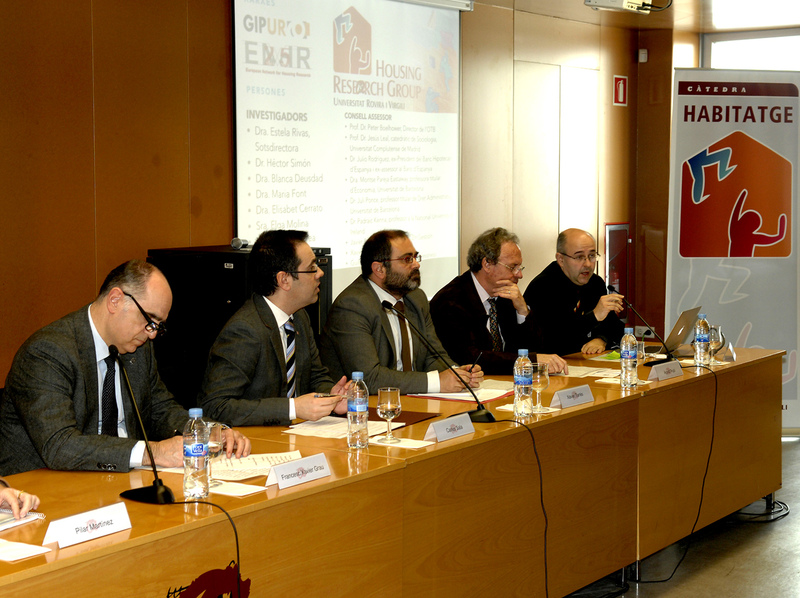 In relation to research, the lines developed by the Chair, through the Housing Research Group (HRG), cover all issues related to housing from an interdisciplinary and international point of view. The Chair’ lines of research are funded with national and international level research projects. In terms of teaching, the Chair guarantees a specialized teaching, based on research, and aimed both at professionals in the real estate market and housing, as well as civil servants and policy makers as well as citizens in general. As for the transfer, we want to bring the results of our research in society and that this perceives it as a return to improve access to housing of families. Paying special attention to the social impact of our work, we want to generate a real improvement in society in everything related to housing. Social housing available to rent, that is: how to manage public housing in the most efficient manner possible, making it possible for citizens with scant financial resources to have decent and adequate housing. The reality shows us that the stock of public housing is insufficient to meet society’s needs, making it vital to professionalise the management of this housing and make access to it viable. 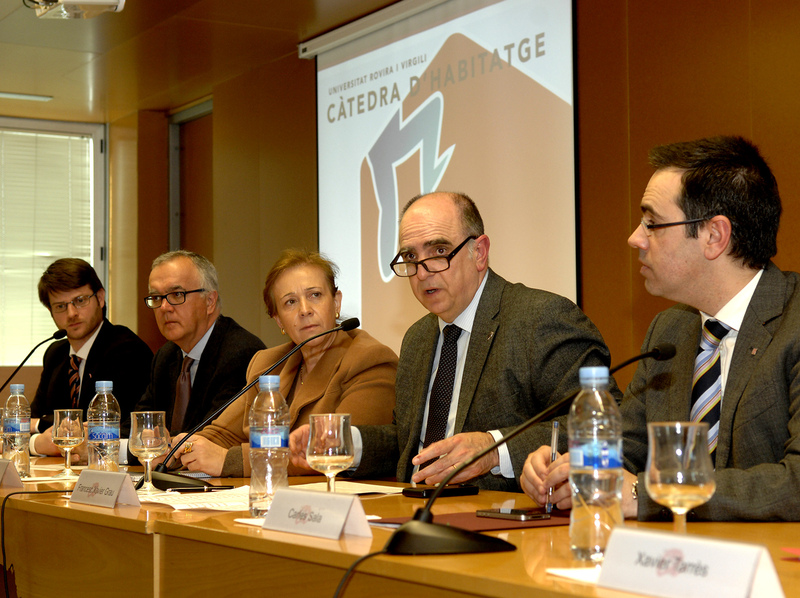 The identification of new formulas for innovation in housing possession, in other words, new categories of real estate possession, such as temporary ownership and shared ownership, which Catalonian legislators intend to regulate as alternative ways to gain access to housing, with the aim of finding an outlet for the 3.5 million empty homes currently on the market. In general terms, the financing of home ownership using mortgages. Within the scope of this issue we could include an analysis of asset and liability operations in the mortgage market, in other words, aspects like the flexibility, security and efficiency of a mortgage as a real right guaranteeing home ownership, as well as the use of home loans as a refinancing mechanism in the financial system. Information and protection in the buying, selling and rental of homes. This is something that is related to the rights of consumers and users, which generally generate the obligation to provide precontractual information on the part of the business. In this regard, the Research Group on Access to Housing of Rovira i Virgili University drafted the basic text of the Bill currently being discussed by the Parliament, the main objective of which is to amend the Consumer Code and protect consumers in the best way possible. Civil liability in building construction. Assignment of property for future building construction. New works statements and works permits. 2) Secondly, the Housing Chair will carry out educational and training activities (courses, seminars, URV Foundation (FURV) activities, etc. ), in other words, activities that will contribute to improving the training of business and finance professionals in this part of Europe whose work involves housing. 3) Thirdly, the intention is to carry out activities that will involve the transfer of know-how and scientific knowledge, at a local, national and international level, and between both private and public institutions. In fact, Spain, unlike other countries (such as the Netherlands and the United Kingdom), has no tradition of any real inter-disciplinary study of housing issues: there are no undergraduate courses on the matter and but few postgraduate ones (all of them sector-based: architecture, law, administration, etc. ); there is also only one university chair on the subject (in Zaragoza). 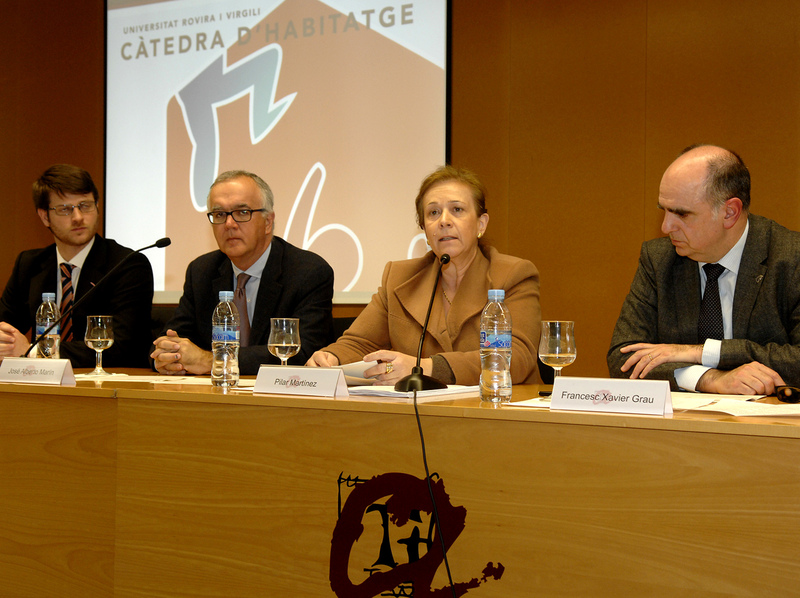 Thus, ours is the first chair on housing in Catalonia and only the second in all of Spain (in fact, the URV chair is the first whose vocation goes beyond the local sphere). Below are some examples of the scientifically oriented activities of the Research Group on Access to Housing prior to the creation of this Chair, staring in 2010. – Books and chapters in books: El acceso a al vivienda en un contexto de crisis (2011); La optimización de la hipoteca española desde la perspectiva europea (2011); The future of European property law (2012). – Relevant Spanish Journals: Revista Crítica de Derecho Inmobiliario, Diario la Ley, Anuario de Derecho Civil. Organisation of the 25th Conference on the European Network for Housing Research: overcoming the crisis: integrating the urban environment, from the 19th to the 22nd of June 2013. The organisers received 480 communications from over 40 countries. The plenary sessions held dealt with such relevant issues as the housing crisis in Europe, new types of property possession, the integration of existing housing and proposals for new regulatory approaches to overcome the crisis. 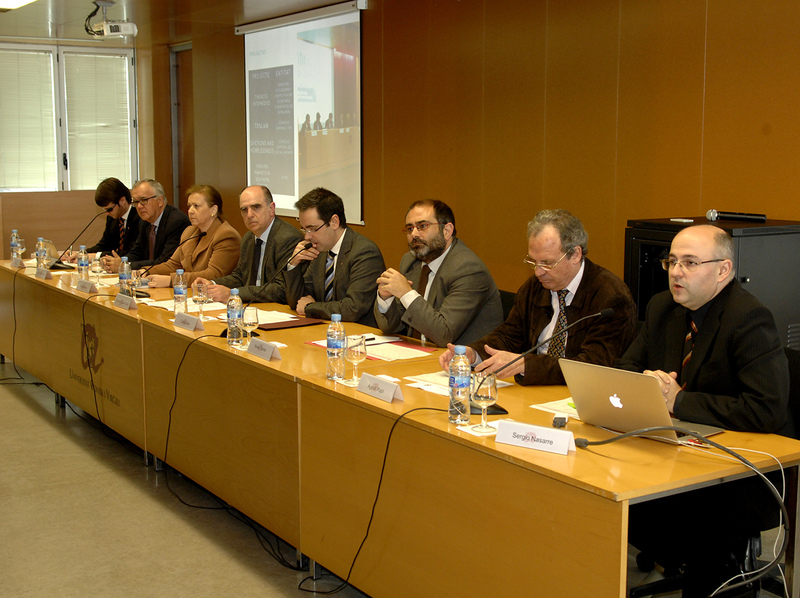 The conference also saw the organisation of 27 Workshops and a monograph on the current housing crisis in Spain. It was widely covered in the news media, as we can see at http://bit.ly/14taOqT. Attendance at national and international conferences (for example, Contemporary Housing Issues in a Changing Europe, Galway, 2012; and previous ENHR conferences, Lillehammer 2012, Toulouse 2011…).